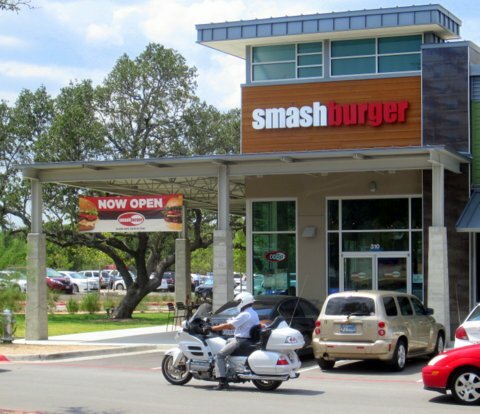 Checked out the new Smashburger up at Lakeline today, second day of business. 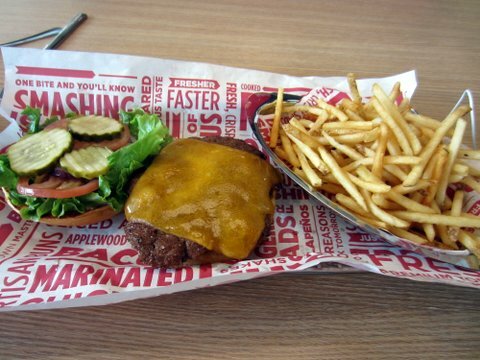 Wasn’t sure what to expect as a Smashburger virgin. There is one way south in Austin, but I never get down that way. The space is somewhat small–not quite enough seating methinks for the inevitable lunch crowds. Booths are not very comfortable either–backs are vertical, so feels strange sitting in one. No combo meals offered. I got the Classic Smash cheeseburger, substituting cheddar for American. YES, they have cheddar! Added regular fries (not the “smashfries” variety, with rosemary, which does not sound appealing). Burger was quite delicious. 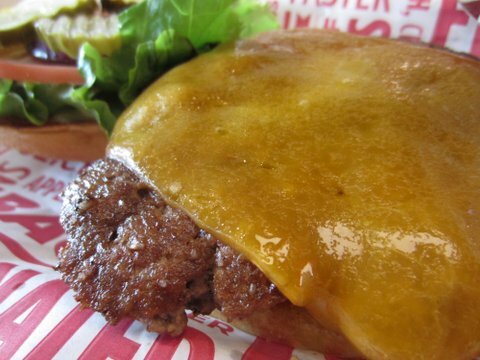 Is 1/3 lb–a good size for a lunchtime burger–and griddled of course. Beef tasted fresh, and…beefy. Veggies good. Bun good. Fries are frozen unfortunately, but they give you an ample supply, and they are actually pretty tasty for frozen–very thin and crusty. Overall pleased with the food. Agree with AHT assessment. Good addition to the lunch options here up north. I want to try here next time. This site is pretty cool!